To the south of the continent of Australia, Tasmania offers magnificent untouched wilderness areas with rushing whitewater rivers, rugged coastlines and trees thousands of years old. With a fifth of Tasmania being under heritage and ecological protection, Tasmania is a splendid getaway from busy Sydney and Melbourne. You will find plenty of historic, scenic and interesting Places to Visit, depending on your tastes. 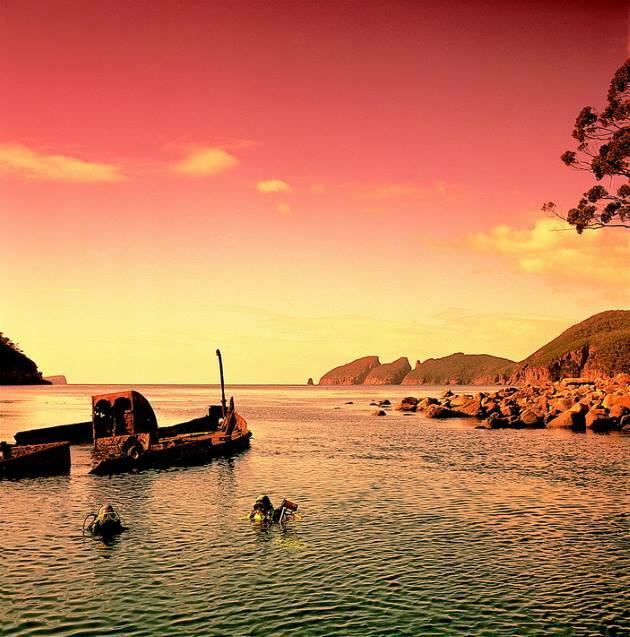 Inhabited by Aboriginals for thousands of years, Tasmania was first sighted by Europeans in 1642, on an expedition to explore “New Hollandia” by the early Dutch explorer Abel Janszoon Tasman. British European settlement came in 1803 at Risdon Cove, on the Derwent River. The bustling village was moved across the river a year later, it soon developed into a thriving port and was renamed Hobart. 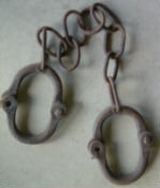 Convicts were being sent to the colony from 1804 on and sent to various stations around the island. Tasmania began to attract early free settlers as well. You can visit a number of these early places of punishment and settlement, including Port Arthur and Sarah Station with their restored buildings, museums and tours. At the foot of Mt. Wellington lies Hobart Tasmania. Well planned out by the then New South Wales Governor Lachlan Macquarie in 1811, it has the appearance of a well kept city, with the backdrop dominated by the Mountain. Wild rivers and mountain wilderness, pristine beaches and spectacular views. 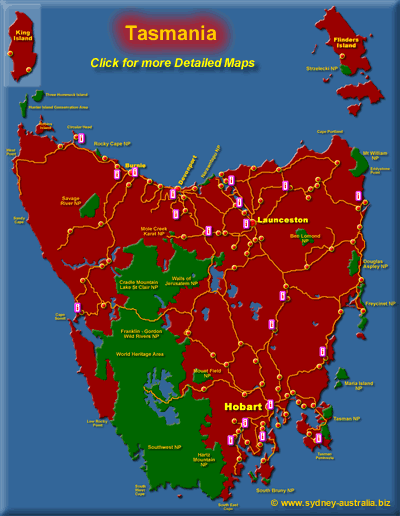 Abundant bird and wildlife, green rainforests are amongst the terms that describe Tasmania National Parks, including the listed World Heritage Areas. Tours to the wilderness parks, Port Arthur with its convict history and places like Launceston, are all available from Hobart. Take a ride on the restored Abt Railway between Queenstown and Strahan to explore spectacular rainforests. There is a growing collection of attractions to visit, tours including the pristine wilderness areas and convict history, Creative Things to Do, Driving Experiences, Adventure and Extreme, Family Things to Do, Flying, Getaways, Activities for your Group, Outdoors, Pampering experiences, Water Activities, Wine & Dine, Special Offers and Gift Certificates. Or even take a bicycle tour for a closer look. There are events throughout the year, celebrating all things Tasmania from agriculture to sailing. The famed Sydney to Hobart yacht races are an annual December event, as are the Melbourne to Hobart races. The Derby River Derby : a river raft race with music and activities for the whole family is held in October. The Taste of Tasmania (The Taste) celebrates fine food, wine and local produce with entertainment in December and is part of the Hobart Summer Festival. Hobart also hosts the Clarence by the Water Jazz Festival in February, which has developed into an annual six day event and offers great food and music, as well as activities and things to do for kids of all ages. There are a number of boutique hotels to be found around Tasmania, many located in restored historical buildings. There are also plenty of Bed & Breakfasts, you can also stay at isolated lodges surrounded by wilderness with luxury appointments and a growing network of Backpackers. 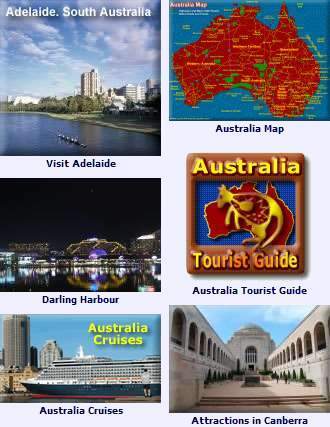 Australia accommodation - Australia Hotels.